The Hall of Leaders was established in 1969 as part of U.S. Travel's National Awards Program to recognize individual contributions to the travel and tourism industry. 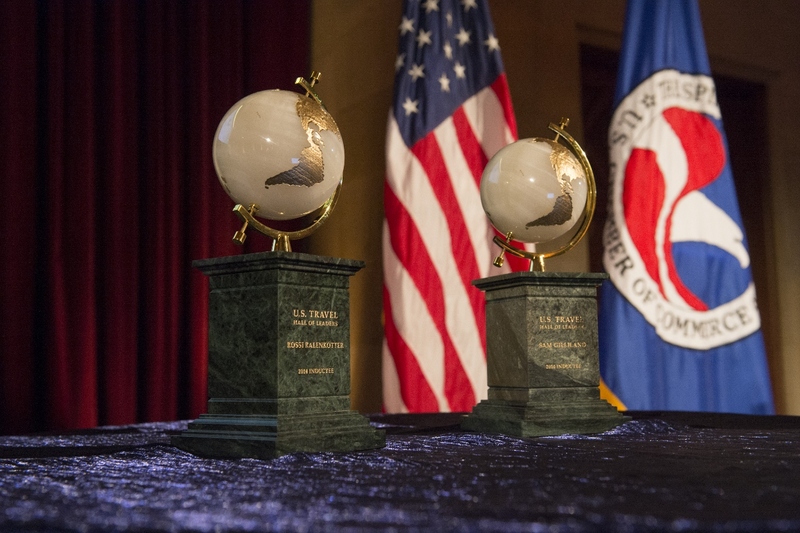 Induction to the U.S. Travel Hall of Leaders is the single highest and most revered honor an individual in the travel and tourism industry can receive. The award is presented by the U.S. Travel Association. Inductees into the Hall of Leaders are "individuals who have made sustained, noteworthy contributions that have had a positive impact on the broad travel and tourism industry." The exemplary vision and leadership demonstrated by these individuals have strengthened and unified the industry well beyond their own organizations, industry segments or communities. If you have questions, please email Greg Staley, SVP, Communications. American Express Travel Related Services Co., Inc.